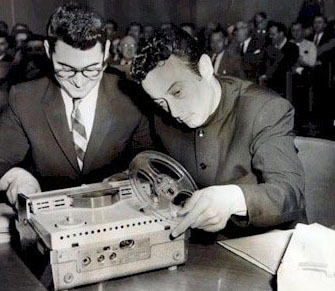 Lenny Bruce and his attorney ready performance tape for trial in San Francisco. "What does it mean to be found obscene in New York? This is the most sophisticated city in the country....If anyone is the first person to be found obscene in New York, he must feel utterly depraved."